One of the reasons that adult briefs leak is that they don’t fit well. But what can a person do if they’re between sizes, or if they’re just more active than their brief will allow? We recommend trying Prevail’s Stretch Fit. 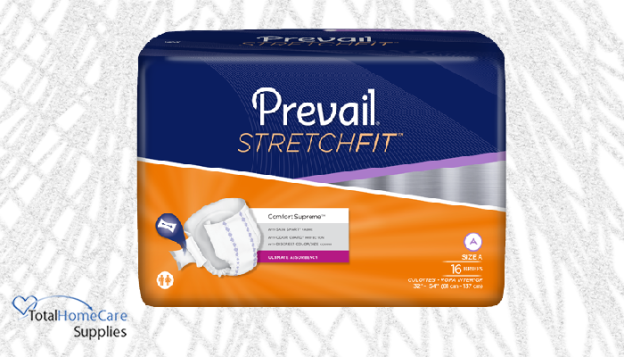 The main difference in these briefs from others in the Prevail product line are the tabs. The tabs stretch, creating the perfect brief for individuals who find themselves between sizes. Stretchy side panels are easy to grab, pull and attach for an adjustable fit that is secure and comfortable. Additionally, these tabs are the Easy-Lock Fastener® (ELF®) type – they grip and hold without being sticky. The entire outer cover is a refasten zone, allowing for multiple tab refastening for improved fit, accurate sizing and cost savings through reduced waste. These briefs also have many of the features that make Prevail briefs both convenient to use and trustworthy. They have a simple design on the front of the brief that discreetly lets the user or the caregiver know what size is of the brief. The Skin Smart® Fabric on the inside of the brief is hypoallergenic and contains aloe, chamomile and vitamin E for skin wellness. Lastly, the cloth-like outer fabric on the outside of the brief means better air flow for the wearer, and makes the brief less likely to rustle when the wearer is moving. Please keep in mind that Prevail is in the middle of a packaging change, and so your briefs may or may not arrive looking just like the package shown here. But please be assured that the product on the inside is the same quality as always! Tags: adult briefs, adult diapers, adult incontinence, caregiver resources, diapers and briefs, First Quality, home care supplies, home healthcare supplies, incontinence, incontinence products, incontinence supplies, prevail . 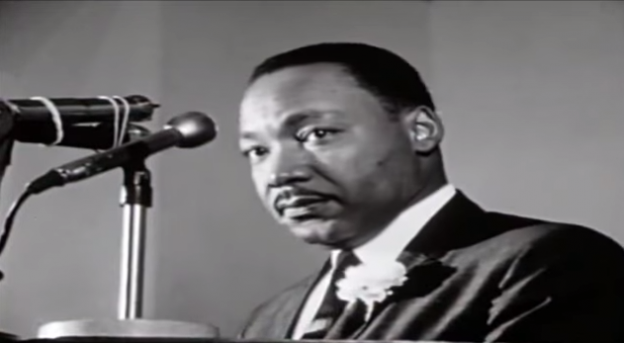 We are grateful that we are able to WATCH this man speak of peace. Tags: caregiver resources, Dr. Martin Luther King Jr. Quote, inspiration, motivational quotes . Extreme weather can be tougher on seniors than the rest of the population. When it’s dry, their skin becomes very dry. When it’s wet, driving in those conditions can become even more dangerous due to slower reaction times and decreased vision. With less fat than younger people, the cold can be much more uncomfortable, if not unsafe. 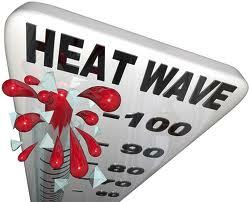 And the heat can make life nearly unbearable and it can also be hazardous. 2014 has been a rough year weather-wise. The long California drought (which, despite recent rainfall, is not over – it will take about three years of regular rainfall to get the state back to “normal” conditions), the cold winter that started the year off and this was also the hottest year on record. The ideal way to deal with weather and your senior are just keeping them cooler or warmer than you’d like to be, based on the environment. If it’s winter and you’re cold, your senior is likely colder. If it’s sweater weather outside, be sure to grab a coat for them before heading out for a walk. If it’s hot outside, maybe forgo the neighborhood stroll altogether. In both of these cases, a drive to the mall for some exercise can be a great alternative. Cool in the summer and hot in the winter – and always new products to look at! Don’t forget about other weather-related hazards like ice on the sidewalks and parking lots. Extremely bright sunlight can also be dangerous, so be sure they have some nice big shades! Diaper rash can also be a problem for those seniors using them – sweat in the summertime (or even in over-heated rooms, which can often get very dry) can lead to more diaper rash than normal. Be sure to use cloth-backed diapers to keep the air circulating. You can find more tips to staying cool in pull-ups in the summer in our blog post here. What are you favorite tips for keeping seniors safe in all types of weather? Tags: Adult Diaper Sale, adult diapers, adult incontinence, adult pull ups, caregiver resources, caregiver support, Elders Weather, incontinence products, incontinence supplies, Older Adults Weather, Seniors Weather . Do you have a friend or family member who is a full-time caregiver? Or part-time? The holidays are just around the bend, and it’s time to start making those lists. But what to get that person who may not have time to enjoy the latest gadget or tickets to the movies? Here are just a few suggestions. Are you able to take over for the caregiver for a few hours? If you know their caree well enough and are okay with taking over for your friend (or family member), give them a few hours off. They can do with it what they choose – errand running, visiting a friend, taking a nap. Just try to emphasize that the time should be spent doing something for them. Or, if the caregiver has a backup person they often use, and you can pay for that person to come in for one extra session, that’s a great gift, too. Have them over for dinner, specifically on a night when you know they’re free. Or take them out to lunch, again when you know they’re able to take off for a bit. Or if they can’t find the time to get away, bring them some coffee and a croissant, and sit and chat with them and their caree. You can offer any of these treats by creating a coupon, or even a homemade coupon book. On TotalHomeCareSupplies.com’s Pinterest page, we have a whole board devoted to books that are about and for caregivers. It’s a way of saying “I may not understand what you’re going through, but here’s someone who does.” Bonus – get two copies of the book and offer to read it with them, so they have someone with whom to discuss the content. 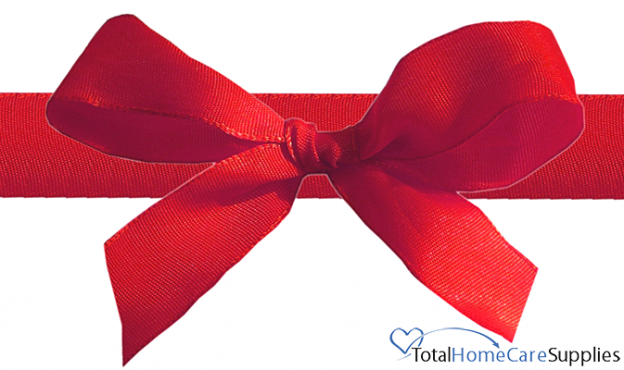 Tags: best gift for caregivers, Best Holiday Gift for Caregivers, books for caregivers, caregiver coupons, Caregiver present, caregiver resources, caregiver support, Caregivers Corner Blog, Christmas Gifts for Caregivers, Total Home Care Supplies, totalhomecaresupplies.com . Living with incontinence can be inconvenient, and can even have the potential for embarrassment. But! With the right knowledge, supplies and attitude, everything runs more smoothly and the feeling of any embarrassment becomes a thing of the past. Those who are incontinent can take action so that life can be lived on their terms. It’s easy to be fully prepared when presented with all the facts. When you’re informed and equipped, a full life is still easily in reach. Tags: Adult Diaper coupon, adult diapers, adult incontinence, adult pull ups, caregiver coupons, caregiver resources, caregiver support, First Quality, Free Shipping, home care supplies, Incontinence cause, incontinence products, incontinence supplies, leak prevention, Prevail Adult Diapers . Prevail is announcing something new in the world of adult diapers. They know that those individuals who wear protective underwear would ideally wear something that’s as close to possible as a regular pair of underpants. That’s why they’re now offering their Per-Fit products, for women and men. These underwear are gender specific – the women’s come in a lovely light lavender color, while the men’s come in white with classic grey lines on the band. And both are created from a cloth-like material, meaning they look and feel closer to regular underwear. Other great features of these underpants include Odor Guard® protection, which means each style has targeted absorbency zones that will whisk moisture from the skin before locking it away and neutralizing any ammonia odor. Customers will also find these adult pull-ups more breathable. Between the specifically ventilated and breathable waist area and the higher cut on the legs, air is more able to freely migrate on the wearer. Both the protective underwear for the women and the men are available in medium, large and extra large. Each product page provides a sizing chart so our customers can make informed decisions on what will be the best fit for them. For those experiencing LOBC (loss of bladder control), many may find that their unique shape is better served with a pair of Per-Fit protective underwear. 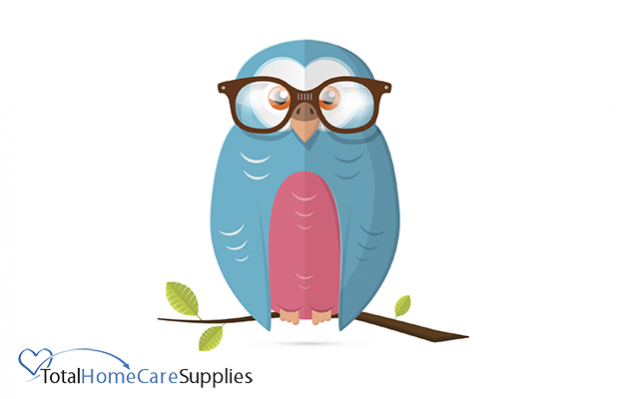 At TotalHomeCareSupplies.com, shipping is completely free on all orders over $40. Orders come packaged in discreet, unmarked boxes for customer security. Tags: Adult Diaper Sale, adult diapers, adult incontinence, adult pull ups, caregiver resources, First Quality, gender specific, home care supplies, incontinence products, incontinence supplies, LOBC, Loss of Bladder Control, odor eliminator, Per-Fit, prevail, Prevail Adult Diapers, protective underwear . It is officially the first week of summer – and things are heating up in most parts of the country. It’s hard enough to stay cool in the summer and even harder when wearing an adult diaper for incontinence. Since staying inside where it is air-conditioned is not always an option – we have a few tips and guidelines to help beat the heat. Keep the air moving. Today’s new adult diapers are made of fabric-like material – no more plastic-backed diapers that trap the heat. Breathable briefs are typically thinner and allow for air circulation. A popular option is the Prevail Extra Adult Pull-Up that includes ventilated panels that help prevent heat build-up. Powder up. If you don’t have any skin issues – baby powder or a corn starch-type powder can help keep you feeling cool when temperatures are rising. If using a diaper with side tape tabs – be sure to not get any powder on these since it might prevent them from sticking. Keep it clean. Change your adult diaper more often in the summer and be sure to keep all areas clean. Moisture plus warmer temperatures can increase the chance of skin irritation. Be sure to carry extra disposable adult wipes during summer travels so that you are always prepared. Air it out. If time and the situation allows – take a little break between diaper changes and allow the area to get some air or wear cotton underpants for an hour or two. Dress appropriately. Cotton skirts and dresses for women and shorts for men are your best bets during the summer. Light-colored and loose fitting clothing is a great choice for beating the heat. Stay away from dark colors and synthetic (especially polyester) materials – save those for the winter months. Drink up. Becoming dehydrated is the last thing that you want. Drinking plenty of water will keep your body hydrated and better able to regulate your temperature. 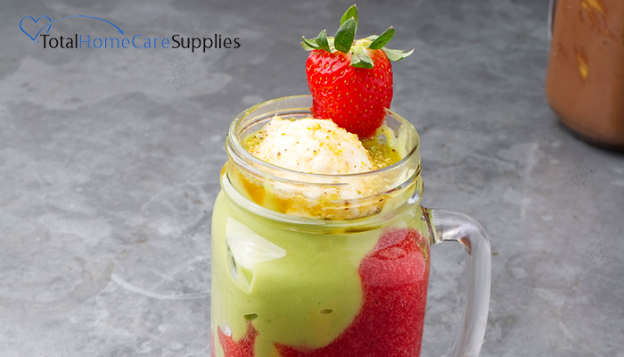 Many fruits and vegetables are comprised of over 90% water – so take advantage of summer produce to help with hydration. Tags: Adult Diaper Sale, adult diapers, adult diapers coupon, Adult Diapers Discount, adult incontinence, adult pull ups, caregiver coupons, caregiver resources, caregiver support, First Quality, home care supplies, incontinence products, incontinence supplies, Prevail Adult Diapers . Adult Diaper Absorbency: Is Larger Better? Question: Does a large diaper absorb more than a small diaper? Answer: No, a large diaper does not absorb more liquid than a small diaper. Many people assume that a larger diaper contains more absorbent fabric than a smaller diaper, simply because of its size. However, each adult diaper and adult pull up is designed to absorb a specific amount, regardless of its size. Both an extra small adult diaper and an extra large adult diaper can handle the same exact amount of fluid. 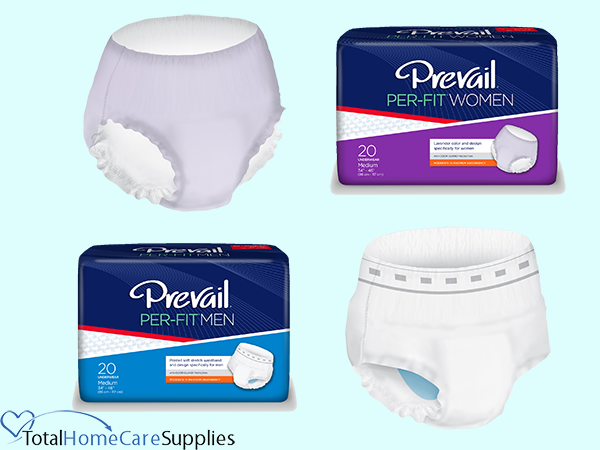 A high quality, maximum-absorbency adult diaper such as the Prevail Extra Adult Pull Up can easily absorb more than 16 ounces while still keeping the wearer’s skin dry and comfortable. If necessary, the Prevail Extra Adult Pull Up can absorb up to a half gallon of liquid. Wearing a larger diaper size than needed can actually increase the risk of leakage. Click here to see the 3 most common reasons an adult diaper leaks. A diaper that is either too large or too small will be not only increase risk of leakage, but may also increase risk of skin irritation and breakdown. A diaper should have a snug, comfortable fit. To find the right size adult diaper by height and weight, see these Adult Diaper Sizing Guides. To find the right size adult diaper by waist/hip measurement, try this Adult Diaper Sizing Guide Calculator. Tags: adult diaper sizing calculator, adult diaper sizing guide, caregiver resources, does a large adult diaper absorb more, does a large diaper absorb more, how to find the right size adult diaper, Is a large diaper more absorbent than a small diaper?, recommended adult diapers, Total Home Care Supplies caregiver support, totalhomecaresupplies.com, why does an adult diaper leak . 1. The size is too large. Many people assume that a larger diaper has more of the absorbent fabric, which leads to greater absorbency. This is not true. Each adult diaper, adult pull up, shield, liner and pad is designed for a specific absorbency regardless of its size. Whether it’s extra small or extra large, a maximum-absorbency adult diaper can easily handle more than 16 ounces of fluid while still keeping the wearer’s skin dry and comfortable. If necessary, a well-designed adult diaper can absorb up to a half gallon of liquid. A diaper should fit snugly, but not uncomfortably. If the diaper is too large for the wearer, gaps between the skin and the diaper can occur – and liquid can escape through the gaps. Are you wearing the right size? 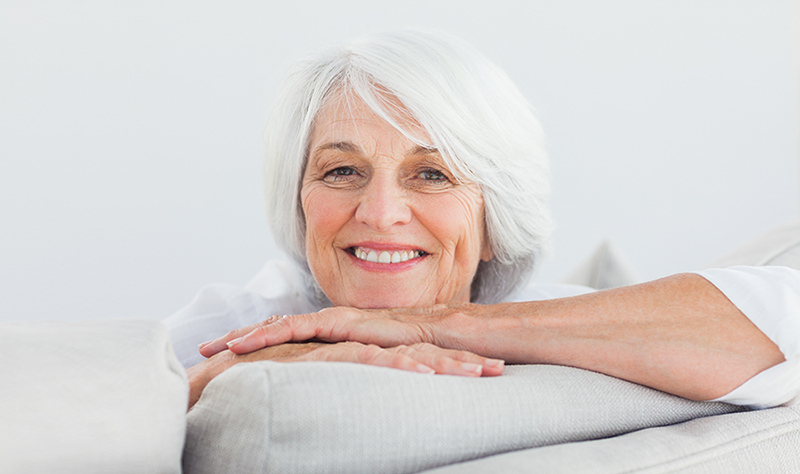 See this Incontinence Product Sizing Guide. 2. The leg seal is broken. Liquid will always find the path of least resistance. Diapers absorb fast – some absorb very fast. But no matter how fast a diaper absorbs, if there is a gap between the diaper and the legs, liquid can escape before being absorbed. The diaper’s leg elastic should be in smooth contact with the skin all the way around both legs – this is called the leg seal. This can happen even in a diaper that is the right size and fit. Sometimes during a change, leg ruffles can get tucked underneath the elastic seal. One simple way to ensure a smooth seal after each change is to lightly run your finger underneath the elastic around both legs. 3. Inserts are preventing absorbency. No-one wants to risk a leak, which is why some people feel more secure with an additional liner or pad inside the adult diaper. Unfortunately, this can prevent the diaper or pull-up from absorbing properly, leading to discomfort and leakage. Most liners and pads are designed with a waterproof poly (plastic) backing that secures into underwear with a sticky strip. When these liners are inserted into an adult diaper, the plastic backing prevents the diaper from absorbing properly. Instead of having the security of a maximum-absorbency diaper, the wearer now has the absorbency of just the liner. In addition, the saturated liner can create pressure against the skin, increasing the risk of skin breakdown. There are some exceptions to this rule. A few inserts are specifically designed to be worn as extra protection inside adult diapers or protective underwear. These inserts are designed without a poly back, and do not prevent diaper absorption. However, the risk of skin damage from liner pressure is still increased. In most cases, an additional liner is not recommended, as it increases risk of leakage and skin breakdown. Tags: 3 common reasons an adult diaper leaks, can I use a liner inside my diaper, caregiver resources, how to choose the right adult diaper, how to find the right size adult diaper, How to prevent diaper leakage, recommended adult diapers, totalhomecaresupplies.com, what incontinence product do I need?, Why is my diaper leaking? .